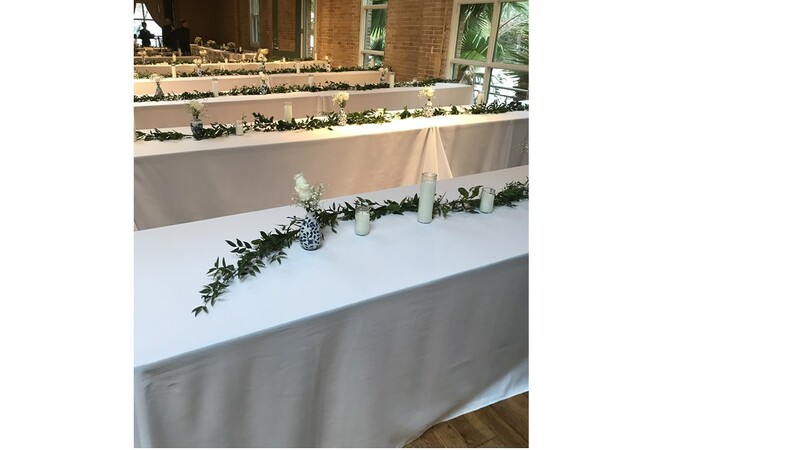 White rectangular tablecloths 90 inches wide by 156 inches long for 30 inch by 96 inch tables. Laundered and ready for your special day! 20 in all - can purchase all of them for 120.00!